Discussion in 'Shiny Things' started by CodyY, Sep 17, 2012. Lots of wheel guns and big-bore singles in "ILTG" has me thinking we need a spot for "modern sporting firearms" and military inspired gear. So, post your comments, questions, and pics here you mall ninjas. I can't wait for this "bling guns". 2500+ rds down the pipe without a single failure. This one goes with me in the truck and slips between the mattresses every night. 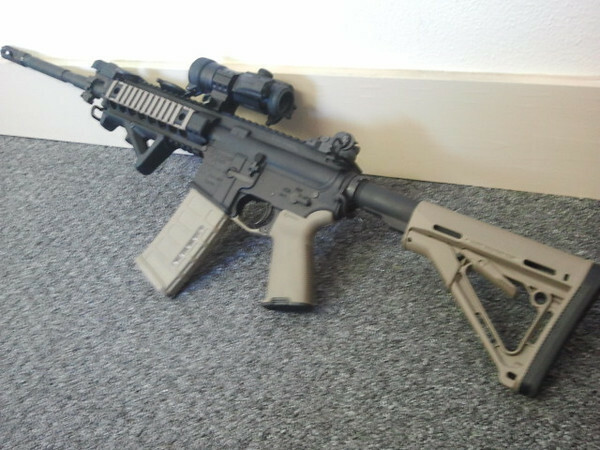 My first (and only) AR when I first built it, 700 rds or so fired and a couple FTE's from laquer coated ammo. Great idea for a new thread! I like tacticool guns, have a few, but my true love is more 'old school' stuff.....perhaps because I'm an old guy! Here is something I thought the readers of this thread might find interesting. I was in a shop in a different town on Sunday and had some time to kill while my girlfriend did some work-related stuff, so wandered about a sporting-good store and spotted one of these. My initial reaction was to laugh and shake my head. Yes indeed, Mossberg is marketing a tacticool lever-action called the 464 SPX, 30-30 caliber, muzzle-break/flash-hider, collapsing "black" stock, lots of Picatinny rails for red-dots, lights, microwaves, porta-potties, etc! Tacticool marketing at its finest. Like selling ketchup popsicles to woman in white gloves. One school of thought says that in a societal breakdown you're gonna find more hunting caliber ammoes when scavenging for supplies. 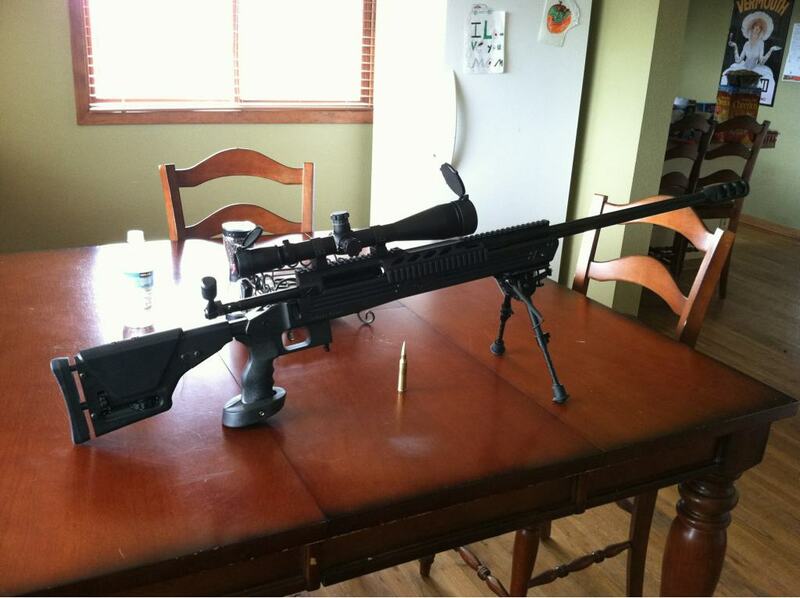 I'll stick to my 1953 336 30-30 personally for a "hunting caliber" rifle. I'd rather have a common caliber though. Most of the hoarder folks will take all the ammo they find for trading purposes. May be easier to trade a box or so of 30-30 off of someone if they don't need it, but they might only have one box, if any, etc. My first thought on that was that it was silly, but it makes sense to a point. If you are in a restrictive environment- it allows you to have a handy, easy to use long arm with lights, lasers, etc for home defense. 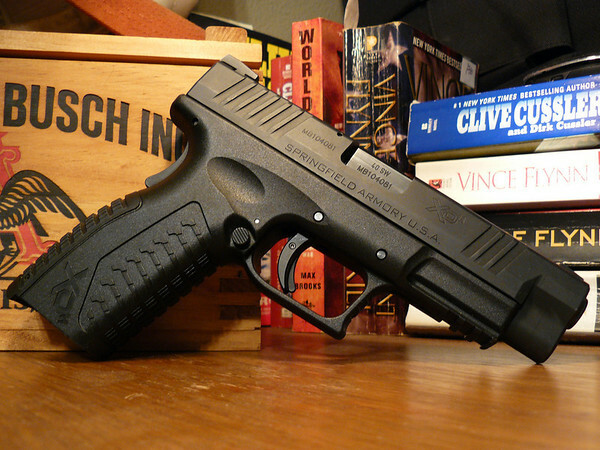 It stores shorter than a full size .30-.30 for a camper or truck gun or even moving around your house in the dark. I added a red dot to my .357 lever gun for pig hunting and camping. That would allow me to add a good light for "bump in the night" moments in the woods or an IR illuminator for piggy popping after dark (where legal of course). 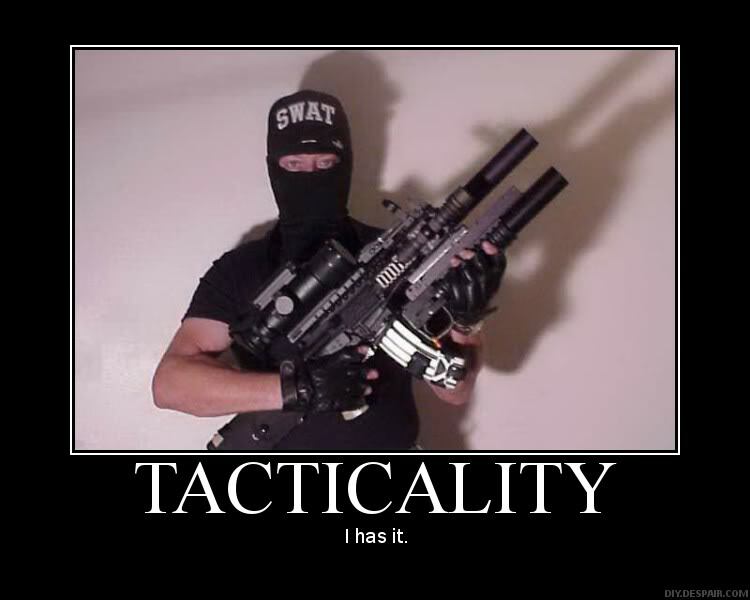 I don't have a problem with it, or with tacticool stuff generally. Hell, back in the '60s when the first civilian AR15s started being sold by Colt, most shooters, myself included, referred to it as a Mattel toy, ugly, plastic, thought of it as inaccurate and mostly a useless novelty. My tune has certainly changed over the intervening decades, and I think that can be said for a lot of us. I now find the AR family to be one of the premier shooting platforms on the planet. That said, I did find the tacticool lever gun a bit curious. Maybe in a few years I'll want to buy one, however!! in forty years, I like my shorty for a boonie Jeep gun. I'd paint "Boon-stick" on the side. 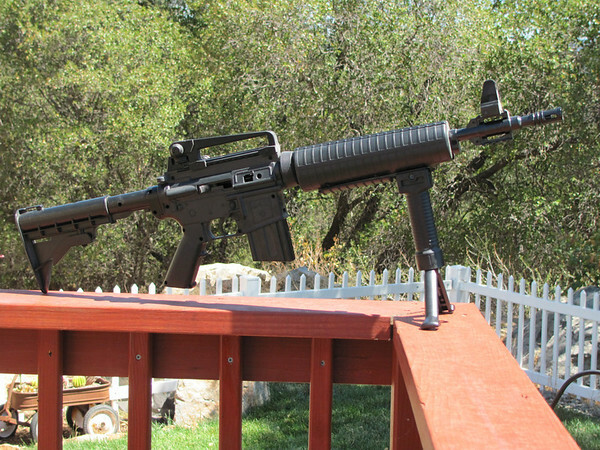 Actually, the platform, meaning in my frame-of-reference the lower receiver, was not all that bad even back then. The uppers might have lacked in some ways. I have an early 70s CAR that shoots quite well, and if I put a fancy more modern upper on it, it shoots great. 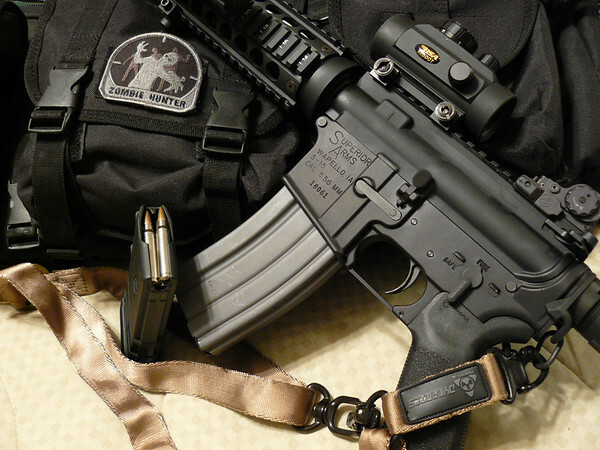 About all a guy needs to do to make an AR15 shoot, whether it be an early or a recent production lower, is to float a good barrel, and have a decent trigger. I don't shoot my old Colt AR anymore, it's something of a collector piece now, plus the newer ones do shoot a little better generally. Let's see who knows what it is ! looks sweet, what is it?